February 24, 2011 July 31, 2017 Devina Divecha2 Comments on South Indian food? Always Venus. South Indian food? Always Venus. I know my food philosophy is very non-vegetarian but here’s the thing, I actually do eat vegetarian food. But particular kinds. 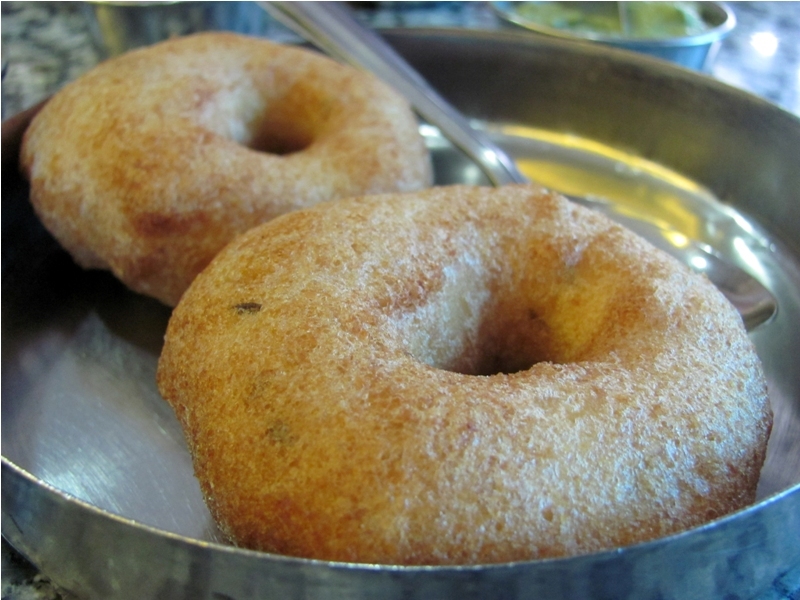 For example, put a plate of medhu vadas and onion uttapams in front of me and I’ll devour the plates clean. But where to get the good stuff? I unequivocally pitch for Venus restaurant in Karama. 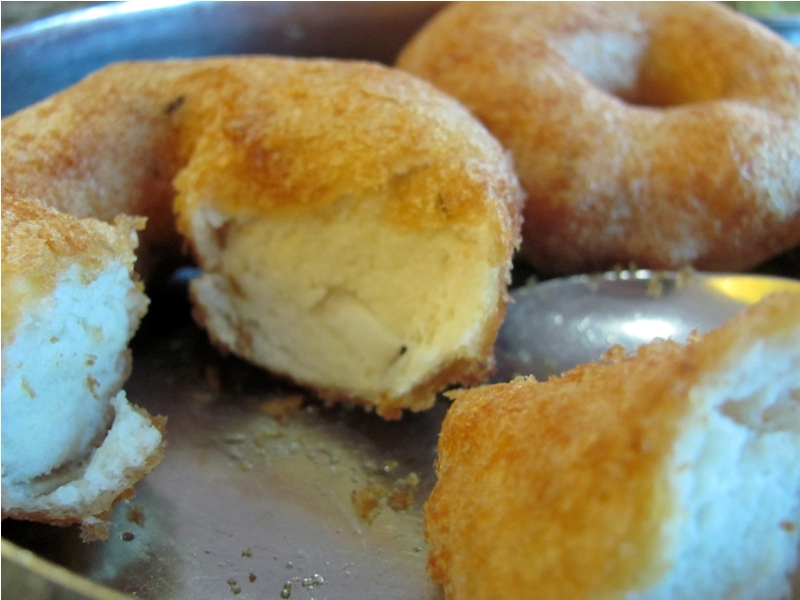 I have never, ever, tasted such crispy and fresh vadas anywhere else. When compared to the fare I get at Venus, everything pales. 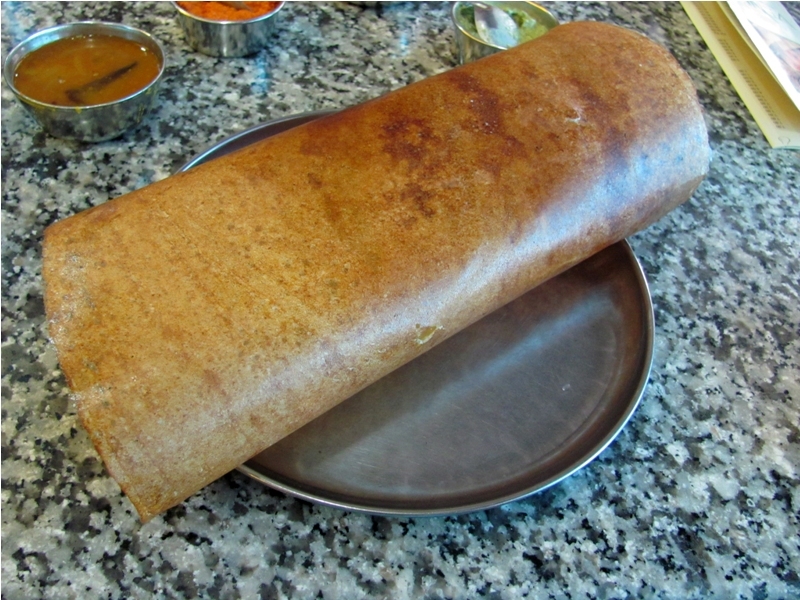 I normally have idlis or an uttapam as well, but this time decided to mix it up with a masala dosa. 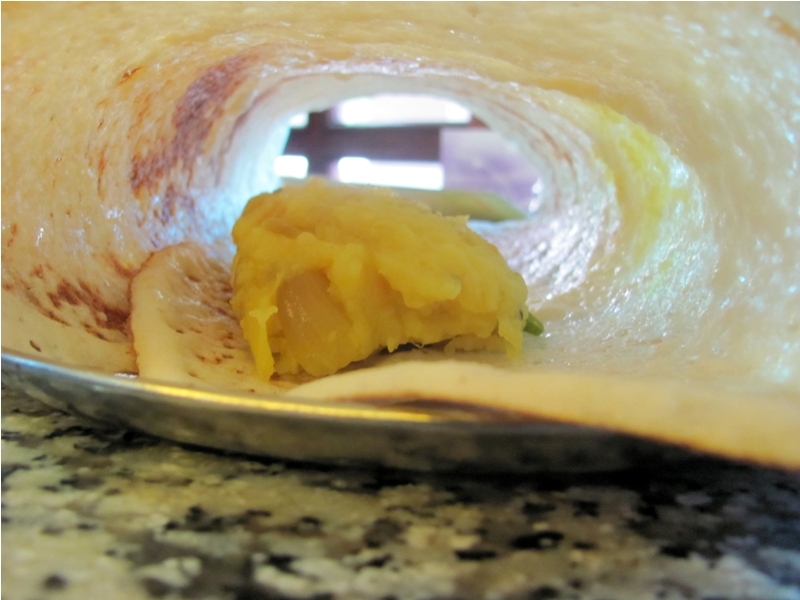 I think I’m more of a plain dosa person, although I did enjoy mixing the crisp dosa with the piping hot and slightly spicy potato bhaji inside. Plus, I know loads of people prefer eating these kinds of food with the lovely sambhar, but I suggest giving the white chutney a go as well. I do love my vadas with the white chutney. So…for South Indian food? Venus. Always. Hi Satish – thanks for stopping by. 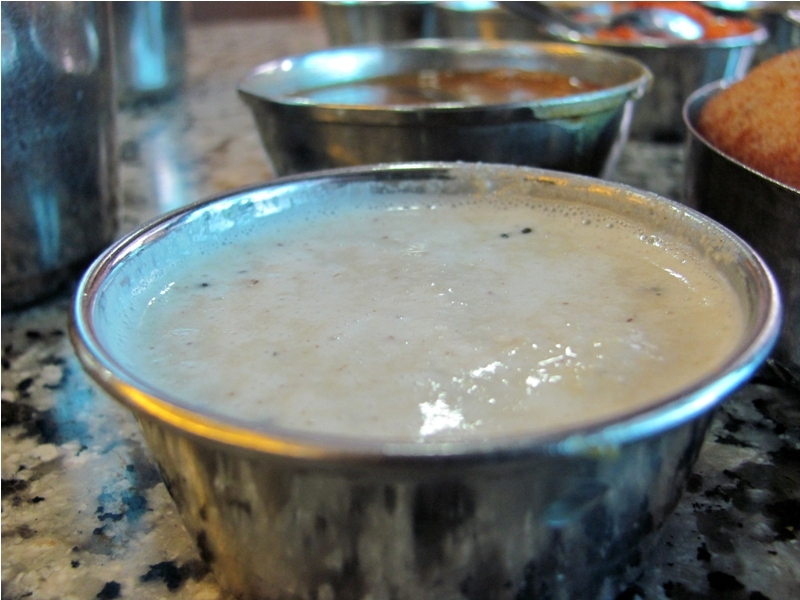 I’ve actually no idea how to make the sambhar…I just go eat! Sorry and hope you manage to figure it out.